Today we’re sharing tips for both employers and jobseekers who are considering accepting or negotiating a salary offer. You should know there are different strategies to take depending on your situation for both employers and jobseekers. Your strategy depends on if you are negotiating with each other directly or if there is a recruiter who is negotiating on your behalf. If there is a recruiter in the mix, you need to be clear about how much you trust them to represent and negotiate for both parties. There are a lot of different recruiters out there and many of them are good at negotiating and many aren’t. If you’re working with someone, you want to be sure you can trust that they are going to be able to handle both parties interests. If you’re a job seeker and working with a recruiter, you definitely want to take whatever advice that recruiter is giving you. The recruiter is likely going to have your best interest in mind and do everything they can to negotiate the highest salary possible. Recruiters’ commissions are going to be based off of your final salary, so it really is in their best interest to negotiate the best possible salary. The thing to keep in mind is that often by the time you get an offer, the recruiter will have already done some significant negotiating on your end. Although it may be the first time you’re seeing an offer, it’s likely not the first time that potential employer has been in the negotiation process. So you want to keep the above in mind as you don’t want to be in a position to over negotiate. The last thing that you want to do is go back-and-forth with your prospective employer too many times. This can make you seem nit-picky and could just annoy and or upset at the situation. One way to avoid this is when you do an initial review of your offer be sure that you collect any and all questions that you have. Many jobseekers make the mistake of going back and forth finding concerns and asking questions. This can get annoying and makes you seem unorganized. When working with a recruiter, it’s also in your best interest to be upfront about your current salary. Many states are now employing laws which make it illegal for recruiters or companies to ask candidates what your current salary is. The purpose of these laws is to avoid gender discrimination, not so that people can hide their salary and try to get more money. It will be obvious to the recruiter if you do this. The truth of the matter is that nine time out of ten, being upfront about your current salary is your best ammunition. If you’re being underpaid, you can use that as an argument for why you want an increase. If you aren’t being underpaid you can use your current salary as a basis for a certain percentage of increase. In other words, it’s better to have a stand off point in your argument for certain salary expectations. You don’t want to have a certain salary expectation based off of nothing. Most of the time this is going to help, especially if you are working with a recruiter. A recruiter will be able to take that information and really frame it with their client to really sell you with your requested salary. Also, be sure that you don’t get offended if your first number on the offer is a bit off. 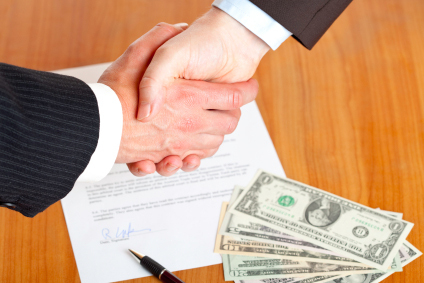 Many companies tend to come in with a lowball offer at first. This is fairly normal and you want to make sure that you don’t take something like this personally. This can be a red flag in some situations, but normally it’s just a starting off point knowing that there’s going to be some back-and-forth. Be professional about it and remind them what your expectations are and what your current salary is. You can also remind them of your justifications and your logical case for the salary that you are expecting. The more evidence and logic you’re able to bring to the situation about your salary expectation, the better. You want to make sure you get a clear picture of all the benefits that come with the role you’re negotiating for. Things like bonuses, health insurance, life insurance, 401(k) and disability should all be considered. There are many other perks that companies are now instituting like food perks, dry cleaning, vacation, paid days off, remote days, short days in the summer, and the list goes on. Many of these bonuses, benefits and perks are difficult to monetize, but add up to a lot of money within any given year. It’s very important that you keep all of this in mind as these things can have a major impact on your overall compensation. These things also greatly impact the quality of your work and life balance. So it’s very important that you take it all in a consideration and don’t get too stuck on a salary number. We’ve seen many candidates get stuck on a salary number and miss out on a great opportunity. You want to be sure you’re taking the whole picture into account. It’s important that you avoid the aforementioned initial lowball offer. Be up front with people and let them know what your ranges are early on in the process. Get expectations from people early on in the process. You can ask questions as to why they are expecting a certain salary. Be sure yon’t break the law in your state if you’re not allowed to ask about their current salary. Have a really well thought-out and put-together benefits document showing as much as possible. This will show the details of the monetary amount of your benefits package. A well put together benefits package is really going to help supplement any salary offer that you make. You’ll be able to justify a lower salary or market salary with candidates if you are also offering a competitive benefits package. It’s important that you are clear with people throughout the process and you make sure they are clear with you about expectations. You don’t want to waste your time getting all the way through your interview process with someone that you like, only to have a deal fall apart. This can happen if you don’t communicate clearly and aren’t in the same ballpark when it comes to compensation. It’s also not a good idea to come in with your first number as your maximum, unless of course this has been discussed with the candidate beforehand. Most candidates are expecting to be able to negotiate or pushback on the salary at least once and get a little bit higher than the initial offer. There is a very important emotional and psychological aspect of people accepting offers. No one likes to just lay down and accept the first offer. People want to feel like they pushed back and then someone gave in because they really like them. The last thing you want is for someone to feel OK about accepting the offer and then to show up on day one feeling just OK having accepted the job. You want people excited about the role and to feel wanted. These are just a few tips you can take into consideration. The tips in this blog can go a long way to getting the best offer for yourself and also for the company.